Dashlane can automatically log you in on the most popular apps on iOS, and in just a few taps! Please note that as of today, close to 300 apps support this integration, and more are supporting the feature every day. You can find the full list on our website here. For the feature to work, you need to have at least version 3.2.1 of Dashlane installed on your iOS device. 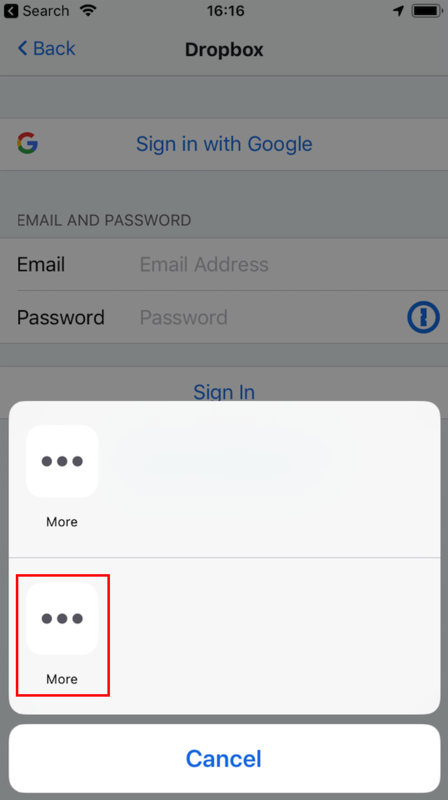 To give the feature a try, open one of your favorite apps, go to the Sign In section, and check if or appears in the Password field. This means that auto-login is supported on that app. 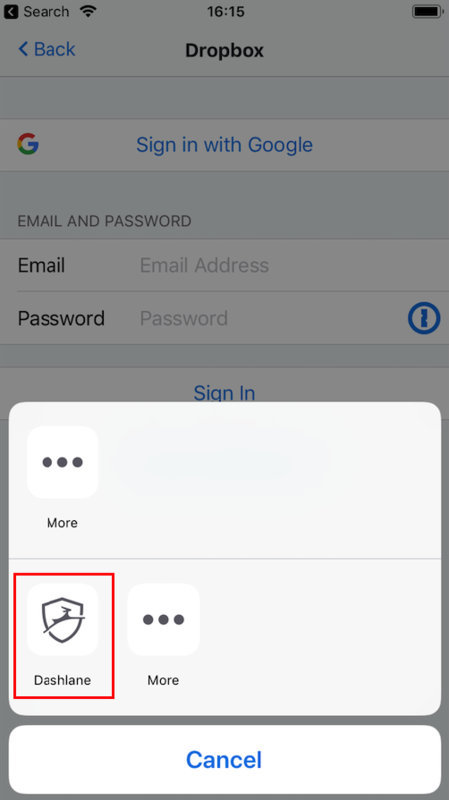 If you see any of the above key icons in a password field, tap on it! You'll see a menu opening at the bottom of the screen. Tap on the Dashlane icon that should appear on that menu. If no Dashlane icon appears on that menu, it would mean that you did not enable the Dashlane extension in Safari. Please click here to do this in a few taps only! Once you tap on the Dashlane icon to continue with the auto-login process, you will have to unlock the access to your Dashlane account with Touch ID, PIN code, or your Master Password; then tap Go, or Continue. Dashlane will then offer the appropriate credentials for you to choose from. Tap on the credential you wish to sign with. You should then be auto-logged in! To start using Dashlane to sign in to other apps, the Dashlane extension needs to be enabled. If you're unable to see the Dashlane icon in the auto-login menu, it most likely means that this Dashlane extension is not yet enabled. Please follow the very quick steps below to enable it. During your auto-login attempt, tap on the More button from the second row where the Dashlane icon should normally appear. You will then be redirected to your list of Activities. Please make sure that Dashlane is enabled there. You can also enable the Dashlane extension at any time from Safari, to log in to both apps and sites. Read more here.